Iris Gomes is a freelance journalist who contributes on a regular basis to Prutha Goa. She holds a BA degree in English Literature and History from Carmel College of Arts, Science and Commerce for Women, Goa, and has previously worked for The Navhind Times, the Buzz section. 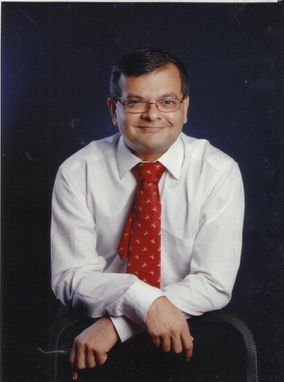 Dr. Luis Dias is a physician, musician and founder and project director of Child's Play India Foundation, a music charity that works to instill positive values and create social empowerment through music education to India's disadvantaged children. He has performed in chamber groups and orchestras in India, England and the US, notably the Corinthian Chamber Orchestra in London, where he continues to play on return visits there. He is a music journalist and critic and has been published in India and in music journals around the world. He is also a history and heritage enthusiast, and leads bespoke heritage walks in Panjim and Old Goa. Isabel Santa Rita Vas is a leading light in the area of theatre throughout Goa. 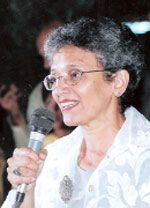 A retired Associate Professor of the English department of Dhempe College, Isabel founded the Mustard Seed Art Company back in 1987. She has written and directed a host of plays and is well known as the author of Frescos in the Womb: Six Plays from Goa. Isabel plays a very active part in improving society in Goa and has roles as a member of Positive People and as a trustee and advisor for NGOs and individuals. She also continues to be a member of the Mustard Seed Art Company and to take a very active part in the life of theatre in Goa. Manguirish Pai Raiker is a first generation entrepreneur with a reputation in the business world that stretches far beyond Goa. He holds a postgraduate degree in Management and Law from Bombay University and started in business in accumulator manufacturing. Since then his influence has stretched into almost all areas of business and manufacturing in Goa, most especially as a result of his time as president of the Goa Chamber of Commerce and Industry. Working beyond Goa, Manguirish is also chairman of the National Council for Small and Medium Enterprises, and has been a guest speaker and trainer in countries including Germany, Poland and the USA. 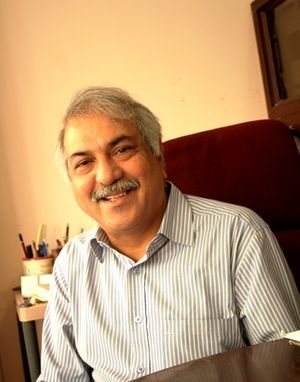 While retaining his positions as chairman and managing director of Brown Packaging Systems Pvt Ltd and director of SR Consultancy Services, Manguirish has become involved in many initiatives for positive change in Goa, especially in the education field. He is on the board of trustees of the International Centre, Goa, and the board of vocational education, Government of Goa. Along with numerous other initiatives, Manguirish has most recently established and now chairs the RPCR School of Agriculture, Savoi, Verem, Goa. Manguirish received the National Award for Excellence in Entrepreneurship from the President of India in 1988 and continues to be a leading author, advisor and speaker on corporate affairs throughout Goa. Miguel Braganza holds an MSc (Agri) in horticulture from the University of Agricultural Sciences, Bangalore, and has been a leading expert in environment and agricultural issues in Goa and beyond for many years. 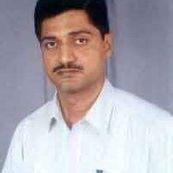 He has worked for the Government of Goa, Directorate of Agriculture, as an agricultural officer, and has written and edited an extensive collection of books on subjects as diverse as scientific gardening techniques, pest management and the fruits, nuts and spices of Goa. 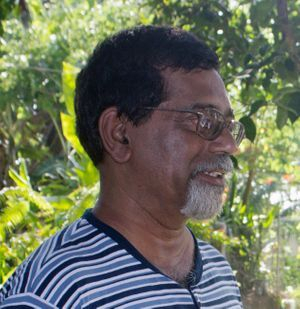 Miguel's influence reaches far beyond Goa as he has also worked as the additional director of the Organic Farming Association of India Secretariat, Mapusa. Miguel has had a huge influence as a teacher throughout his career. He has lectured in horticulture in schools affiliated to the Goa Board of Education and in colleges affiliated with Goa University, and is presently conceptualising and facilitating the establishment of the Don Bosco College of Agriculture at Sulcorna, Goa. Along with this, Miguel works as an independent consultant, as a columnist for various newspapers, a writeshop facilitator and as a consulting farm manager. He has contributed to giving Goan agriculture an international presence through his role as vice president for Asia of the Intercontinental Network of Organic Farmers' Organisations, based in Bonn, Germany. Miguel is best known for his roles in the Botanical Society of Goa, especially the conducting of the annual Konkan Fruit Fest, and in the Western Ghats Kokum Foundation for the promotion of Garcinia fruit products. One of Goa's homegrown prolific writers, Valmiki Faleiro was active in the media between the mid-1970s and mid-1980s. As a working journalist, he was Staff Reporter with the West Coast Times. He also covered Goa for national publications like The Current Weekly, the Free Press Journal (FPJ, Onlooker, etc.) and the Indian Express. As a freelancer before that, he contributed articles and features to various journals like The Navhind Times, Goa Today, The Sun Weekly, Newstrek, Detective Digest, Mirror and Newsmag. Faleiro was among the one dozen-odd Indians selected for the Workshop for Asian Writers held in March 1977 at the India International Centre, New Delhi (in collaboration with the Authors' Guild of India and Ministry of Education, Government of India, in association with the Federation of Indian Publishers, New Delhi) and received the certificate of completion from the then acting President of India, B.D. Jatti. Faleiro worked his way through other professions too. He was also, briefly (1985-87), the Municipal President of Margao. On taking to the pen once again, after a gap of two decades, he wrote a couple of chapters for a book on Goa's print media, In Black and White: Insiders' stories about the press in Goa, first print version 2008, some parts on Goan music for Greatest Konkani Song Hits-Vol 1 by Francis Rodrigues, Pater Publications Toronto 2009 and over four years (2005 to 2009), penned an eminently readable regular Sunday column in a local daily newspaper, revealing a style that remained as readable, well-informed and convincingly-argued as ever. His first book, Patriotism in Action: Goans in India’s Defence Services, Goa,1556, was published in 2010.